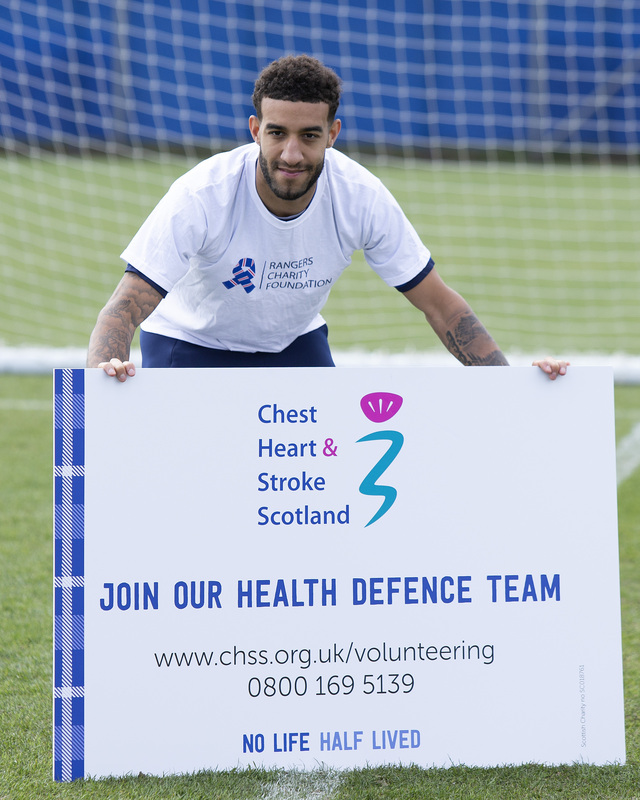 Connor Goldson has opened up about life since his heart operation and joined calls for volunteers to join a pioneering project aimed at tackling Scotland’s biggest health problems as part of our partnership with Chest, Heart & Stroke Scotland. Connor had major heart surgery 2 years ago following a routine check which identified a serious problem with his heart which could have been fatal without surgery. 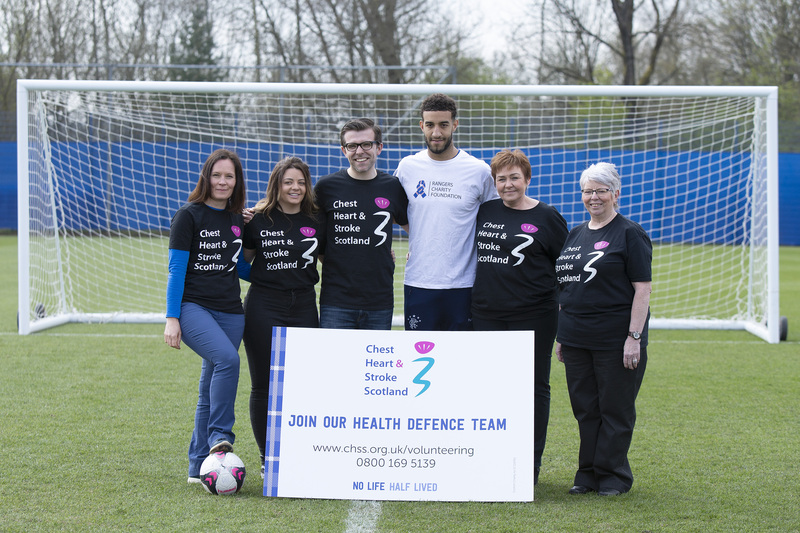 Today he helped Chest Heart & Stroke Scotland launched a new programme to tackle Scotland’s health inequalities and reduce the risk of stroke, chest and heart conditions. The “Health Defence” project – based in Drumchapel - will see volunteers provide health checks, healthy living workshops and ongoing support to people as they make lifestyle changes to improve their health. The charity is looking for volunteer coaches to make their time matter and provide support to people in hard to reach communities. Glasgow City has the highest rate of deaths from Coronary Heart Disease in people under the age of 75 and the highest rate of deaths relating to long-term lung condition, COPD. In 2017 the life expectancy for both males and females in Scotland was lowest in Glasgow City. 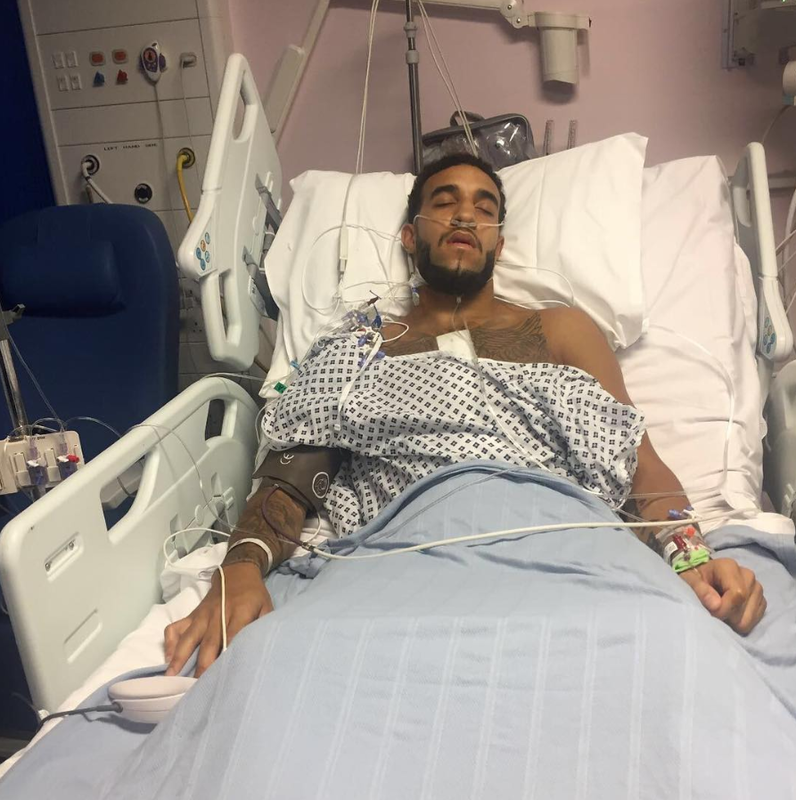 Goldson knows first-hand how important it is to get your health checked following the revelation about his heart following the routine check-up. “It was just a routine check-up when they found the problem with my heart. It was a huge shock; I was terrified I’d never play again." “It’s really scary to think of what could have happened if I hadn’t found out about my heart problem. I was really lucky. It’s a great thing that Chest Heart & Stroke Scotland is doing in Glasgow. It’s so important for people to find out their health risks and make positive changes. “Too often where you live in Scotland determines how long you live for. We must do everything we can to tackle these health inequalities head-on." “Glasgow has a history of poor health and low life expectancy, that’s why we’re starting the programme here. “By supporting people in their communities and providing them with the knowledge and tools they need to live a healthier life we can make a change. “This is people’s chance to get onside, volunteer with us and defend Scotland’s health. We’ll match you with someone who you can check in on, motivate and cheer on as they make healthy changes. “As Rangers Charity Foundation partner, the support we have had from the players, the Club and the Foundation has been absolutely fantastic in helping us reach more people and change more lives.